The Inspector General of Police Ibrahim Idris has released a report from findings on the invasion of the National Assembly on Tuesday, where DSS operatives barricaded the entrance of the complex barring lawmakers from entering. Police report disclosed that Daura did it for top politicians. In what has been described as a legislative coup by political analysts, the barricade was another failed ploy to change the National Assembly leadership. 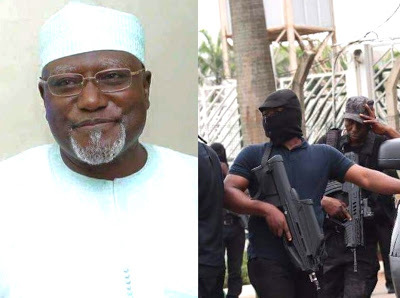 The Director of the DSS Lawal Daura was subsequently sacked later that day by acting President Yemi Osinbajo and an investigation was launched to uncover the motives and the actors behind the disgraceful attack on Democracy. The IGP’s report confirms the wide suspicion that the Former DSS Director was playing a role orchestrated by some desperate politicians. The report said, “It is Crystal Clear that Lawal Daura may be acting the script of highly placed politicians to achieve selfish political goals hence his unilateral and unlawful decision to invade the National Assembly Complex..."